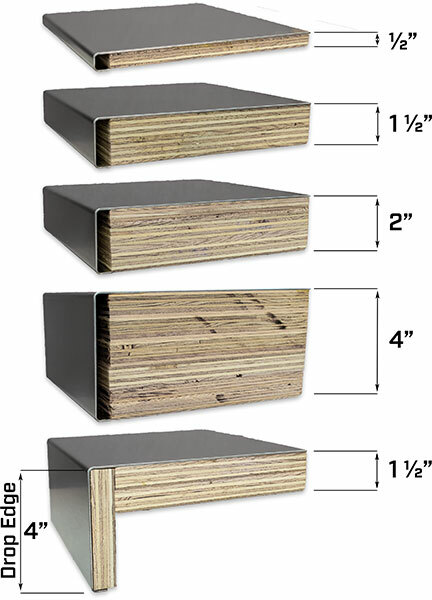 Our standard non-directional matte finish looks great, and pre-conditions the surface of the stainless steel, allowing your countertop to mask and accept inevitable random scratches as they take place. 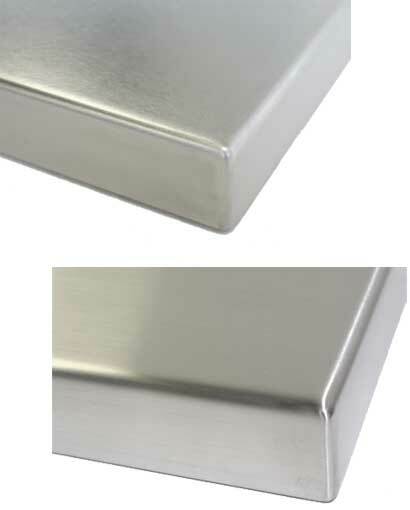 Our #4 brushed finish, also commonly known as directional or satin finish, is the finish commonly seen on kitchen appliances, and is characterized by fine polishing grit lines that are uniform and directional in appearance. 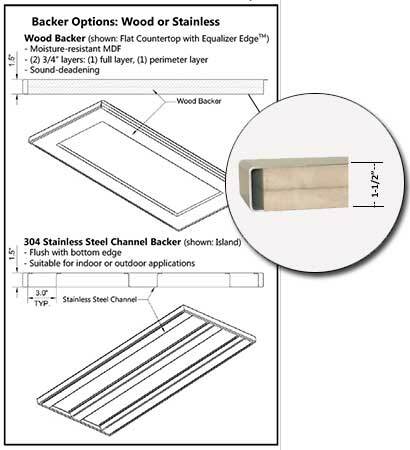 The backer board installs directly onto your cabinets, allowing you to install your stainless steel countertop using familiar countertop installation methods. 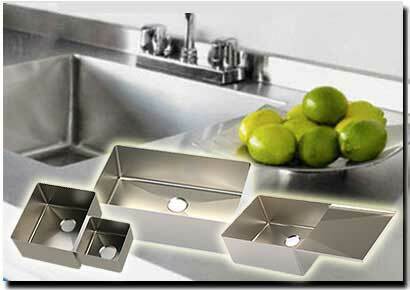 Choose from stock or custom sizes and configurations of stainless steel sinks. 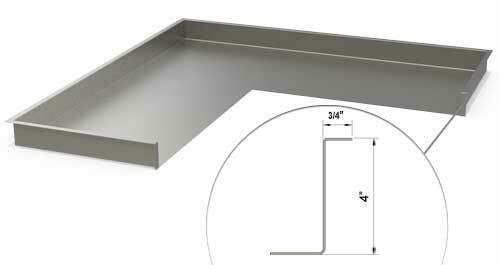 We will precision weld your selected sink into a countertop creating a seamless integrated unit. You can even have a drain board added to any sink. 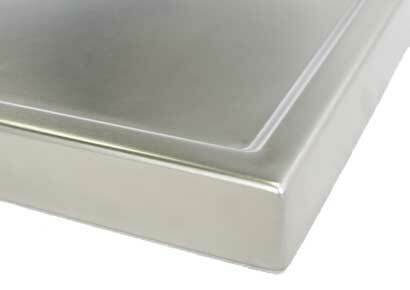 READY TO DESIGN YOUR STAINLESS COUNTERTOP?